Congratulations, beloved readers: You’ve survived another week in the working world, a feat that should, by all accounts, be celebrated with a parade of laurels and trumpets sounding from on-high. Parades being in short supply, though, all we’ve actually got for you tonight is an upbeat new Drake track, “Nice For What,” which will hopefully serve as a decent trumpet substitute. 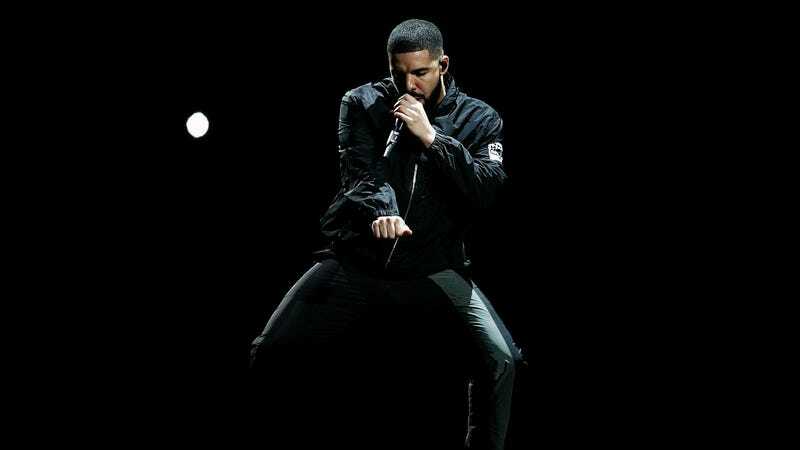 Featuring a sped-up sample from Lauryn Hill’s “Ex-Factor,”—and a video featuring a number of truly excellent actresses, including Issa Rae, Tiffany Haddish, Rashida Jones, Letitia Wright, Zoe Saldana, and a whole bunch more—the new single makes good on promises of new music that Drake made during an appearance earlier this week. Although there’s a rougher edge to the some of the lyrics, the core of the track is a driving beat that should get you in the weekend mood. (Even if all you’re going to do is cozy up with some Fortnite for the evening.) Drake might not be giving a million bucks away this time or anything, but it’s still a nice, star-studded little gift to his fans as the weekend rolls its way in.